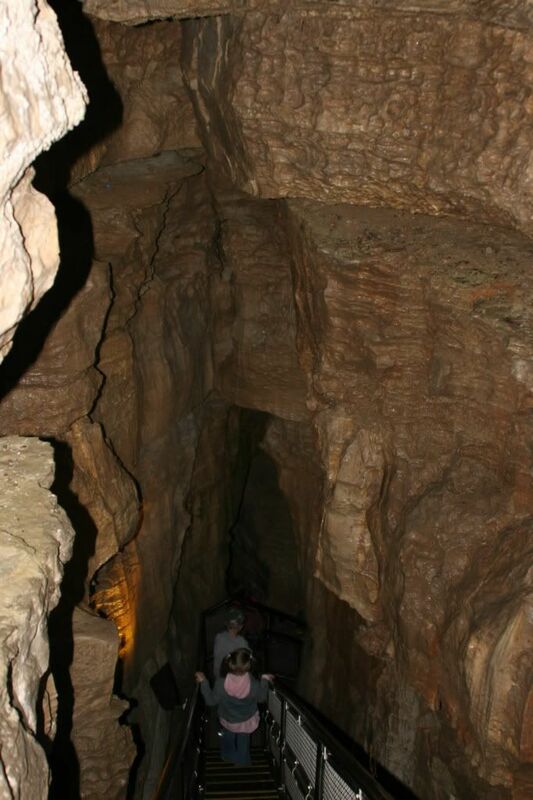 "Mammoth Cave is the world's longest known cave. In fact it is so long that if the second and third longest caves in the world were joined together, Mammoth Cave would still be the planet's longest cave and have nearly 100 miles left over!" Connor has recently set a pretty big goal. He wants to visit every national park. I decided we shouldn't waste any time. So we took the 3 hour drive south today (from Mom's house) to explore this park. We took the 2 hour New Entrance tour and then we hiked some of the trails. We saw the Green River, a couple snakes, a cave cricket (that looks more like a spider), and lots of beautiful rock formations. It was fun exploring this beautiful area. That looks fun!! A little scary, but fun C: wish we were there to play with you guys! !